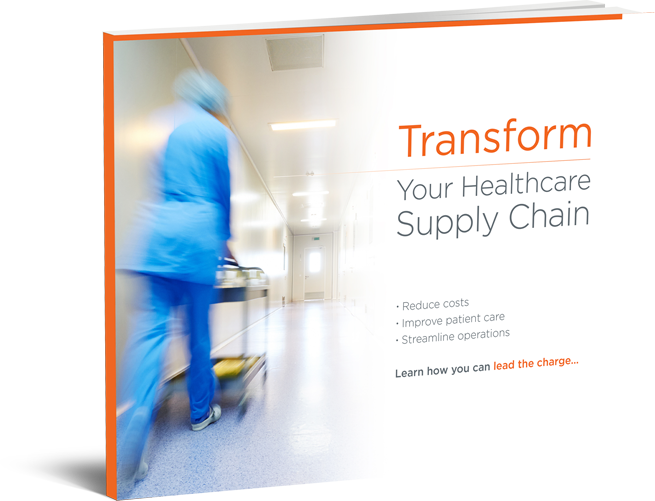 In the healthcare supply chain, change isn’t just inevitable, it’s vital for your success. 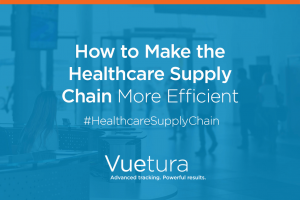 In fact, growing and thriving healthcare organizations around the country view supply chain management as not just a long stream of transactions, but as an important part of their business strategy. Progressive organizations recognize that one of the most efficient ways to improve services as they cut their costs is by streamlining and improving their supply chain management. How do they do it? By sifting through the data. They’re eager to entertain the idea of using the data to create new and improved supply chain strategies for the year to come. Unfortunately, these progressive organizations are in the minority; all too many are reluctant to recognize that the supply chain is going to play a huge role in the future of healthcare. Their inability to examine the data, let alone act on it, will eventually carry a huge cost— for the organizations as well as for their unsuspecting patients. As costs continue to balloon, it’s past time to examine supply chain inefficiencies. Per the Healthcare Finance News, examining a new Navigate study, hospitals are spending about $10 million more a year in the supply chain than is necessary. It’s time to look at supply chain optimization as a potential solution to a mounting problem. Data as a Force to be Reckoned With. Knowledge is power. The more data you have at your disposal, the better informed your business decisions will be. The industry is ever-changing, and data is the most efficient tool that healthcare organizations have to help them eliminate the invasive waste that inflates costs and diminishes patient care. Despite this, far too many organizations aren’t taking advantage of the information offered by the data accumulated related to supply chain management. How can these organizations improve their supply chain management, thus increasing their efficiency? #1: Understand the Power of the Supply Chain. So many healthcare organizations fail to recognize that their supply chain can be an incredible force for change. Thanks to this myopic vision, they treat supply chain management and the data related to it as an afterthought rather than the key to the future of their strategy. As soon as the organization understands the intrinsic value of supply chain management, they’ll find that their money-saving measures and their overall strategy for their organization will be improved. Any modern healthcare organization must recognize supply chain management as a make-or-break piece of their strategy for the years to come. In addition to simply recognizing the importance of data, truly progressive healthcare organizations understand that the data should be as complex and as detailed as possible. Sticking to the bare-bones data won’t offer you the information you need to take your organization to the next level. In-depth analysis of more complicated data will enable your organization to understand the changes that must be made on a more granular level. You’ll have a better picture of the potential that’s hidden within each department of your organization. Additionally, you’ll understand the way your supply chain management changes will impact the organization as well as your patients. #2: Implement Tools to Improve Efficiency (Product Scanning, Order Accuracy Controls, and Electronic Ordering). Manual ordering of medical supplies and devices results in potentially hazardous errors. Failure to obtain the proper equipment in an efficient manner could not just harm patients, but even put their lives at risk. Outdated methodology results in misdelivered items as well as ordering errors or product shortages. Here are a few ways that a healthcare organization can benefit from a streamlined receiving and tracking solution. • It quickly and easily establishes accountability. Receiving and delivery staff as well as other employees at the facility can track the location of every package with a few clicks. No more time wasted on the phone trying to figure out what happened to a package after it entered the facility. • It’s more accurate. Manual tracking is inherently flawed— it’s done by people, not machines. Numbers are all-too-often transposed or illegible when written by hand. Scan a barcode, and the packages are on the way to being delivered to the right place the first time. • It’s more efficient. When package tracking requires that an employee records several different numbers, including the carrier tracking number, vendor number, requisition number, and more, there’s more room for potential error and it takes significantly more time to record them. An employee can review and track each package’s status by clicking on the appropriate number, reducing time spent researching packages. • It integrates with current systems. Some healthcare organizations are reluctant to implement a new receiving and tracking solution, fearful that it won’t work with their current host database or data warehouse. However, a manual system cannot do that, even on its best day. Incorporating an electronic solution will make it simpler than ever to exchange information with an outside source, thus improving supply chain management. • It frees staff up to do their jobs. Your nursing staff isn’t paid to search for necessary medical equipment— they’re there to help patients. When they’re unable to find the basic tools of their job, and they’re forced to seek them out, it’s an incredibly inefficient use of their time and their skills. • It saves lives. Healthcare organizations receive a variety of deliveries, from office supplies to live tissue. While misplacing a case of paperclips isn’t going to lead to a major emergency, losing life-saving medication can be a big problem. Placing a scannable bar code on each package that enters the facility and scanning it throughout the delivery process will ensure that every single package can be tracked with ease. #3: Use Data to Improve Both Reliability and Service. It’s probably apparent by now that data will enable a forward-thinking healthcare organization to better predict and respond to the issues within their supply chain. That said, it’s important that these organizations don’t just focus on capturing the data, but also ensure that they know how to utilize it. • Improve patient care— An organization’s patients will have the supplies and medications that they require when they require them. There won’t be any inefficient, if not lethal, waiting around for the package containing the order to show up. And should the package go astray, it will be easily located thanks to the scannable bar code. • Improve the ER— Emergency room wait times are increasingly growing longer across the country. If a facility can reduce the wait time and get the patients the care they need faster and more efficiently, not only will their reputation improve, but they’ll be able to see more patients than ever before. As healthcare organizations start to recognize the role that supply chain management plays in their overall strategy and the importance of collecting data that will enable them to make informed decisions about the future, they’ll see the advantages of implementing a receiving and tracking solution. Vuetura’s state-of-the-art receiving and delivery solution is an excellent option for healthcare organizations prepared to exit the dark ages and bring their facility into the 21st century. Click here to learn more about everything VueturaTrac can do for you.